When the Assistant changes were first shown off back at I/O, they included this upward swipe to access the new daily summary page, but for the last couple weeks, you've had to launch it via a button at the top right of the Assistant's overlay. This new tweak means it's all just a long-hold and a swipe away. 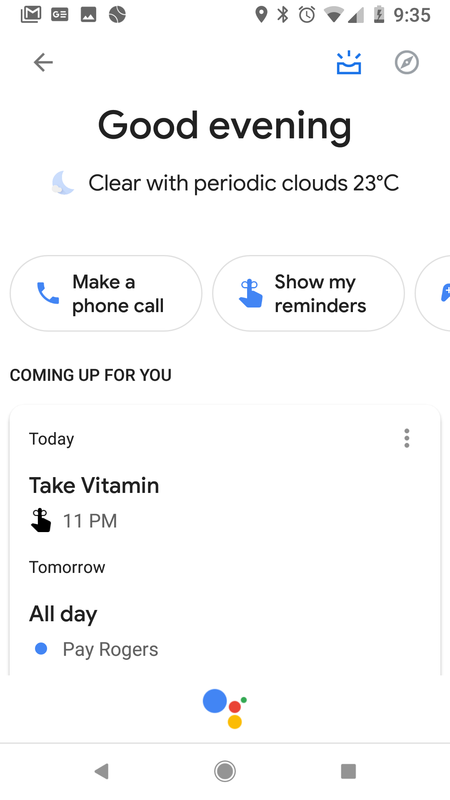 It's still not as convenient as the old Google Now was, but it's an improvement. 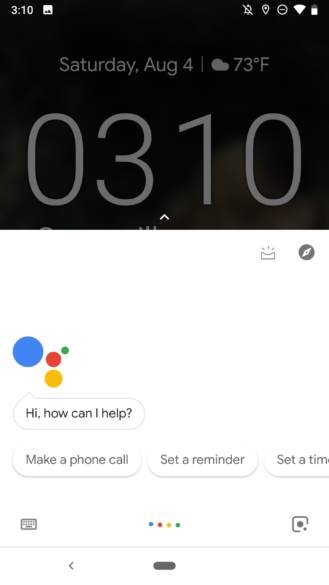 None of our devices has this swipe gesture for the Assistant just yet. Presumably, it's either still being tested, or the rollout has only just begun. 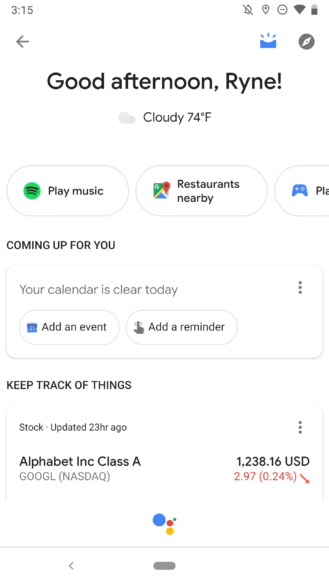 The most prominent visual indicator of the new interface is the floating text above the Assistant overlay that tells you to "Swipe up to see your updates," but it isn't the only tweak. 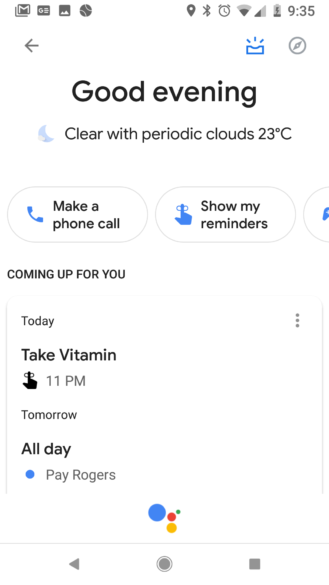 The iconography throughout has been changed to match the Android P-style outlines, and the lens and keyboard shortcuts appear to have swapped locations. Old Assistant overlay (left), new overlay with the swipe up shortcut (right). It's tough to be sure, since DPI scaling or different devices can have an effect on how things are rendered, but the new Assistant overlay also seems to be a bit shorter, and the bubbly assistant logo has been shrunken down and shoved up into the top left corner. Visual snapshot both before (left) and after (right) these changes. The actual visual snapshot feature itself seems mostly unchanged, apart from the icons trickling over. Given it's less than a month old, I'd be surprised if Google was already rolling out a redesign for it, but you never know. 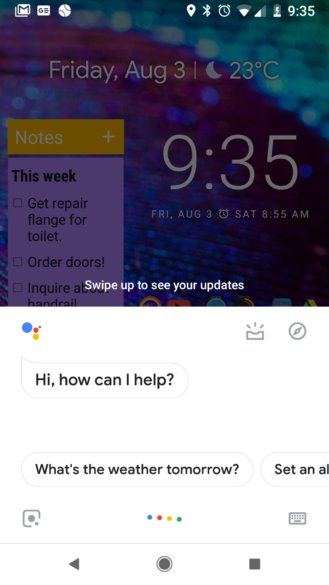 The changes to the Assistant overlay seem tailored to match it. So far, this new interface appears to be part of a server-side A/B test, as none of the recent stable or beta versions of the Google app have been able to trigger the new behavior on my devices, and our tipster is seeing it on a stable build that isn't the latest (v8.13.15.21). As always with these tests, YMMV. It may not hit a wider audience for months, if ever, or it could land for everyone tomorrow.